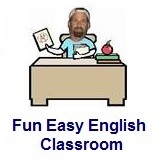 ﻿ Fun Easy English - new classroom free online classes english language lessons speaking listening writing reading october 17. Today in the Fun Easy English classroom you are going to learn "dunno" an American English reduction. I dunno what you are talking about. I dunno if this is the correct way to do this. I dunno if you realize what you said. I dunno if she wants to go out on a date. I dunno if this is going to work. English language reductions for do not know can be spelled like dunno and also like donno which is introduced in another lesson. 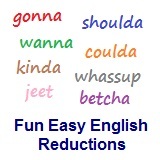 Reductions, such as dunno are not real words in English.